Though not typically top of the list for most romantic destinations due to its somewhat imperfect reputation, Las Vegas is an eye feast for lovers of light. It’s also a fantastic honeymoon destination in general, with some of the most luxurious hotels and spas in the country, incredible night life, and several natural attractions not too far outside the city. 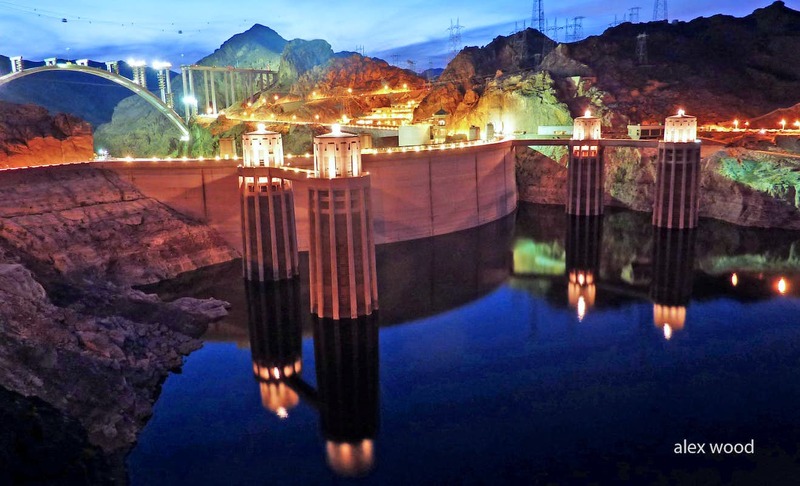 This picture is of the Hoover Dam at night, which is about a 45-minute drive from the city. 3) Alaska, Norway, Greenland… etc. Basically, anywhere you can see the northern lights! If you’re a light lover like me, you can’t go wrong with a cozy sleeping bag and a natural electromagnetic light show in the sky! There are a lot of different places you can go to see the aurora borealis in all its splendor, and of course each country claims theirs is the best view. Regardless of which vantage point you pick, make sure to find someplace that has activities you like for the daytime as well. There are a lot of honeymoon packages that include viewing the northern lights, so you’ve definitely got a lot of options. Bonus: the University of Alaska has an aurora forecast you can use to check exactly when and where your show begins! 4) Niagara Falls, New York, USA. What’s better than mixing the breathtaking power of North America’s biggest waterfall with the dazzling glow of colored lights? You can enjoy the raw beauty of nature and the fascinating art of a light show at night. Combine that with the rustic charm of upstate New York and the Canadian border towns, and you won’t be disappointed! 5) Outer Banks, North Carolina, USA. I may be a bit biased about this one as a native North Carolinian, but beaches are one of the most romantic places in the world, and there’s no better destination for a lover of lights than North Carolina’s outer banks. 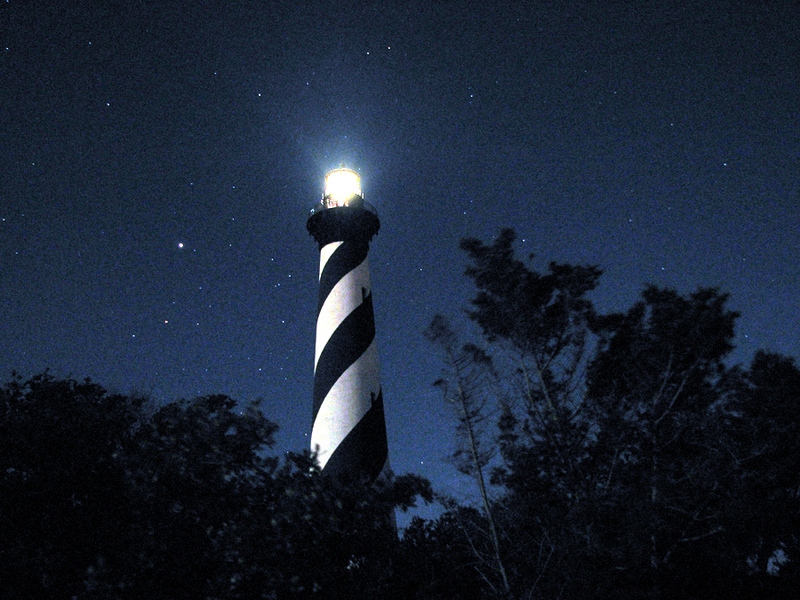 There are seven lighthouses spread out along North Carolina’s eastern coast, and if you like beaches, roadtripping, or vacationing on a budget, then a lighthouses tour is a fantastic option for you. You can stay in private beach houses in the little port towns, which are full of history and oceanfront charm. And each of the seven lighthouses has its own unique flashing pattern, so of course you’ve got to visit them all! 6) Anywhere you can get away from light polution. Whether you can afford to fly to Chile for the world’s clearest night sky or the best you’ve got is a field near your house, take some time to get away from all the lights of civilization and look up. Stargazing is one of the oldest and most romantic activities, and best of all it’s completely free! Get a little perspective on your place in the universe while cuddling up on a blanket under the stars. Make it a habit after the honeymoon, and you’ll get a little taste of sweet memories every time you look up at night! What do you think of our list? Have any ideas for other destinations with great lights? Let us know in the comments!